Piana & Gioe, LLC. is a general litigation firm comprised of seasoned trial attorneys. We have experience handling a wide array of legal actions. As former State prosecutors, we began our career in the courtroom, which is where we are most comfortable. 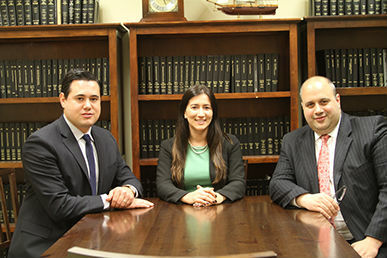 Along with our strong criminal background, both partners have spent significant time working in prominent civil litigation firms on Long Island. We take this experience with us into every case.